WHAT IS THE TRUE HISTORY OF OUR COSMOS? IS THE BOOK OF GENESIS AN ALLEGORY AS SOME BELIEVE? OR IS GENESIS HISTORY? There is a growing attack on the Book of Genesis like never before! 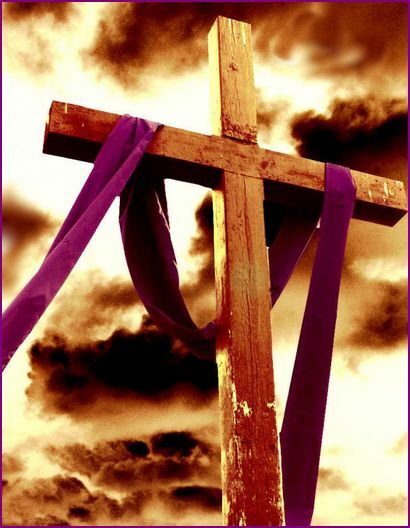 If a person does not view Genesis as the inspired Word of God, then it will inevitably be simply a matter of time before they begin to start doubting the virgin birth, the deity of Jesus Christ, and even His resurrection from the dead. Is Genesis an allegory as some teach? Or is Genesis truly a divine, historical book that records some of the amazing details about how God created our universe? When time allows, please consider watching this documentary filled with scientific evidence that show the many intricate details concerning the genetic structure of animals and man, giving strong evidence of a Divine Creator as opposed to evolution which is simply a belief with no fossil evidence whatsoever to show any transitions from one species to another, and therefore this system demands a belief in billions of years in order to allow for so many changes to occur. “Adam…now, don’t read it literally…we’re not talking about a literal figure, we’re talking in theological poetry; Adam, the first human being, names all the animals…” (5:48-6:03 minute mark). “For the record I think God guided some kind of process of natural selection, and yet I reject the concept of evolution as All-encompassing Theory.” –The Reason For God (Source – YouTube video, ‘The Real Tim Keller’) (More on Tim Keller at a later time –Lord willing). 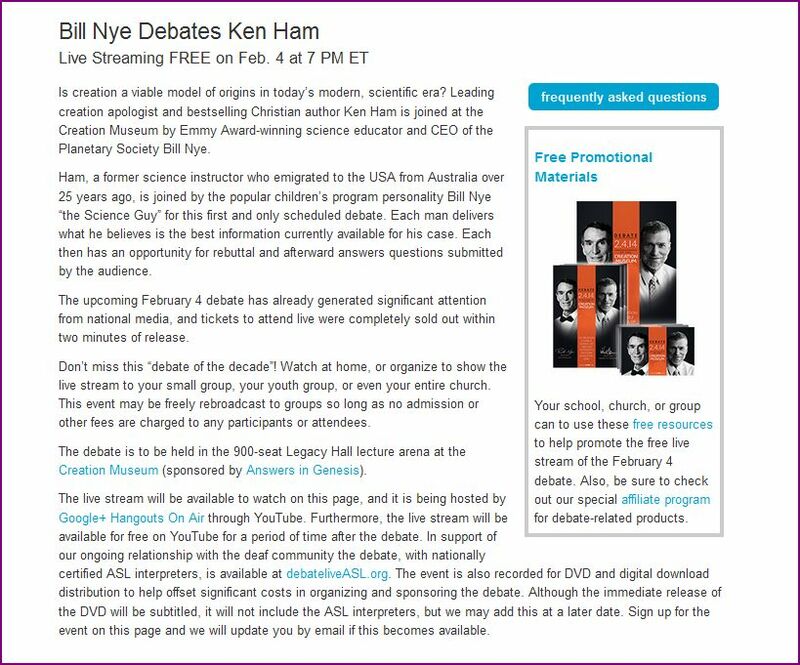 WILL YOU BE WATCHING THE HISTORIC DEBATE BETWEEN CREATIONIST, KEN HAM AND EVOLUTIONIST, BILL NYE? Well, it’s being called ‘The Debate of the Decade’ and even ‘of the Century,’ and it takes place tonight at 7PM eastern, 6PM central at the Creation Museum. Ken Ham, a creationist and Bill Nye, an evolutionist, will be debating on the topic ‘Is creation a viable model of origins in today’s modern, scientific era.’ The moderator for the debate will be Tom Foreman of CNN. In the video below, Ken Ham gives a clear explanation of why it is that we are seeing such drastic moral changes taking place in our nation and in our world. Basically it’s because we have allowed the culture to change the church, and we have not properly taught our children how to defend Biblical truth. Instead of the church having an impact on the culture, we have stood by and allowed the culture to attack the foundation of the authority of the Word of God, and many of us are not doing anything about it! Please take time to listen to this very insightful and important message! Believing that there is a God who loves us and who created us and the world around us with such thought and in such amazing ways, gives hope and meaning to a person, instead of teaching them a theory with no solid evidence; there may be telling them they evolved from apes or from “primordial soup.” Ugh! Lord willing, within the next few days I hope to have my previous post finished, but I wanted to take the time to make all of you aware of this debate, and to ask you to please be praying for Ken Ham. Thank you very much for stopping by, and thank you very much for taking time to read my posts and poems. God bless you.